A consortium comprised of YIT, Pöyry Finland and VR Track has signed a €2.9 million contract with the City of Tampere and Tampereen Raitiotie Oy to develop plans for the second phase of the Tampere light rail project in Finland. It is the same alliance of companies who are building the first phase, a 15km line from the city centre to the suburb of Hervanta and the central hospital. 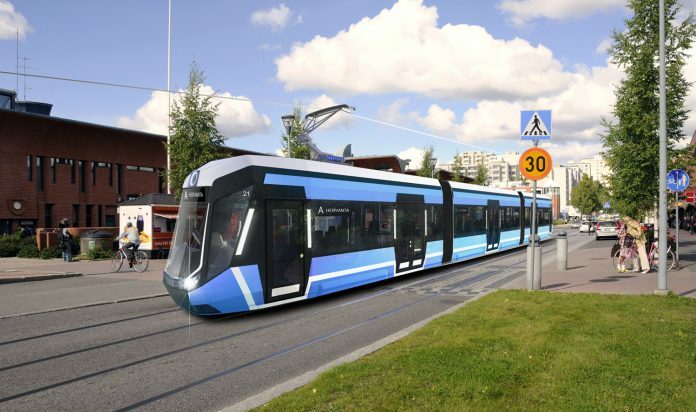 The development stage of phase two, which will continue the line from Pyynikintori to Lentäväniemi, begins immediately and is estimated to be completed by the end of 2020. It will involve a review of the best possible solutions to support construction of the extension. The preliminary schedule for the construction of phase two is between 2021–2024. Phase one is planned to open in 2021. Transtech, a Finnish subsidiary of Skoda Transportation, is building 65 trams for the city of Tampere’s light rail system.